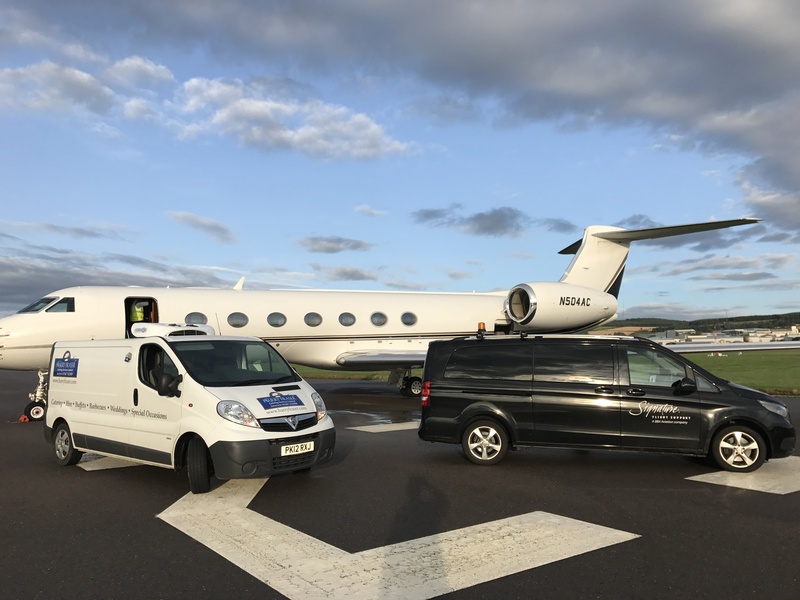 We have built our reputation on all forms and outside catering in the North East of Scotland and for the past 10 years we have been providing VIP in-flight catering for many of the private jets and valued clients flying out of Aberdeen through Signature Flight Support at Aberdeen Dyce Airport. We only provide the highest quality and freshest ingredients available tailored to your specific needs. All orders are freshly prepared and delivered to Signature’s base. All orders are placed directly through Signature Flight Support, although we are of course on hand to answer any questions or queries you may have directly.